One thing that's great about living in Colorado: Wild animals. We get coyotes, we get foxes, we get deer, all in our yard, We even get snakes, like this one that was really unhappy with my dogs. 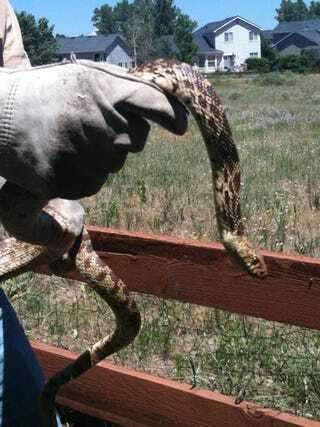 Snakes on a blogger's yard!